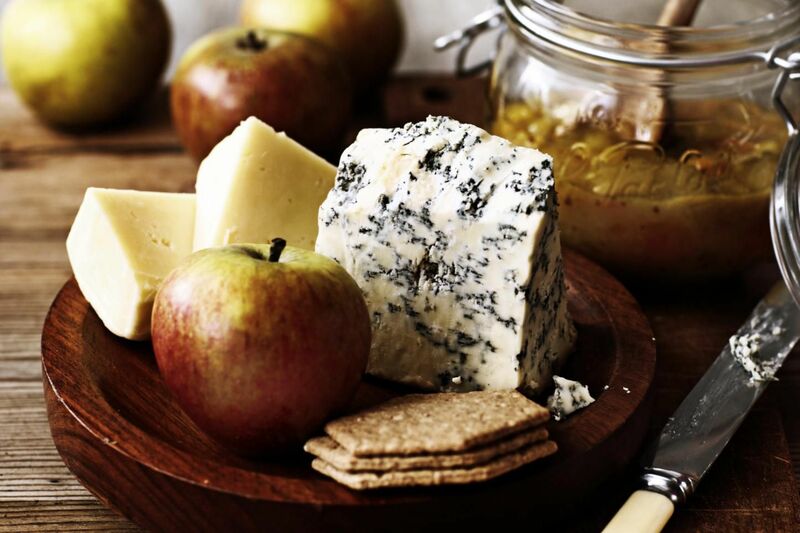 Especially during months of the year when fresh fruit is not widely available, fruit spreads are an ideal pairing with cheese. Put a dollop of these spreads on a slice of baguette or a cracker with a piece of cheese, or serve the fruit spread next to a cheese plate and let guests try different fruit and cheese combinations on their own. The dried fruit and spices in Chutney add an exciting zing of flavor to a cheese plate. A light spread of Chutney is also a good way to liven up a grilled cheese sandwich. Although it's made from fruit preserved with syrup, Italian Mostarda is more spicy than sweet. The spiciness comes from powdered mustard seed, which gives off a slow, addictive burn. A tiny dab of Mostarda paired with Gouda, Italian Parmigiano, or Pecorino is a tasting experience you won't forget. Easily found at the cheese counter, quince paste (also known as membrillo) is a Spanish fruit spread made from quince, a type of fruit with a flavor that is somewhere between a Golden Delicious apple and a pear. Quince paste has a thick, jelly-like consistency that can be cut into thin pieces, or you can spread the quince paste onto a cracker or slice of bread. There's a reason apple pie is often paired with Cheddar cheese—the sweet flavor of cooked apple pairs really with cheese. Skip the pie crust, though, and simply serve cooked apples with everything from sheep's milk cheese to Brie. Fig spreads sold in cheese stores are often imported from Spain, and Spanish cheeses do pair especially well with this dense, fairly sweet spread. Soft goat cheeses are also delicious with a smudge of fig, as is blue cheese and Brie. Try cutting a wedge of Brie in half, filling the middle with a light layer of fig spread, then putting the top of the Brie back on and baking until the cheese is just soft. Serve with crackers. What Crackers Go Best With Cheese?